Protected, Natti snorted and picked the box up gently and tilted it upright so she could look at the relief. Then why was her grandmother dead? Murdered in her own home? She brushed her fingers over the mother-of-pearl feathers of Isis’s wings. Patterns of stars, ankhs, and eyes graced the borders, the mother-of-pearl incasing them in fine lines of shimmering white. Straightening her position on the floor, she leaned her back against the bed frame and studied the figures and images. As she tipped the box just a bit more, something shifted and clinked against the wood inside. Natti froze. She glanced at her cat, who had stuck her nose over the rim of her fort; her eyes like saucers. Returning her attention back to the cedar box, Natti opened the lid. The maroon, velvet lining greeted her, but nothing more. Natti cocked her head and closed the box again as she thought. She examined the exterior, giving it a small shake. A metallic object scraped and rattled against the wood. A thought hit her, and she looked back inside, this time comparing the interior depth to the height of the exterior. 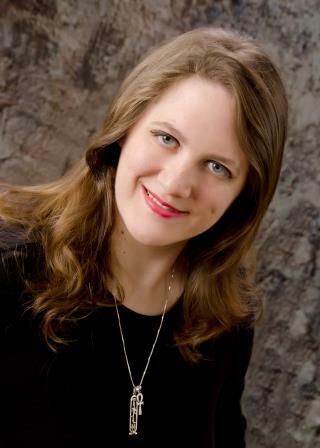 During her high school years, Kelsey Ketch could always be found tucked away in a little corner of the hall or classroom, writing her fantasy worlds and creating illustrations and maps. Today is no different, except now she’s writing in the break room at her office building or at the tables of the Barnes and Noble Café in Cary, North Carolina. 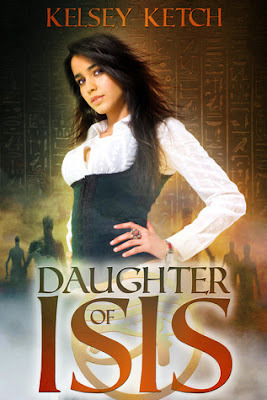 She is also an avid reader, a part-time book blogger at Ketch’s Book Nook, and lives with her two orange tabbies and awesome and humorous flat-mate.Daughter of Isis is her debut novel. For more information, please visit her site at kelseyketch.com.